It may not seem like much, but for a family with little or no food, providing a Christmas food basket this time of year is enormous. Our goal is to deliver close to 2000 Christmas food baskets and 4,000 stockings and small toys before December 25th. I have a long list of names...could you please find it in your heart to help? 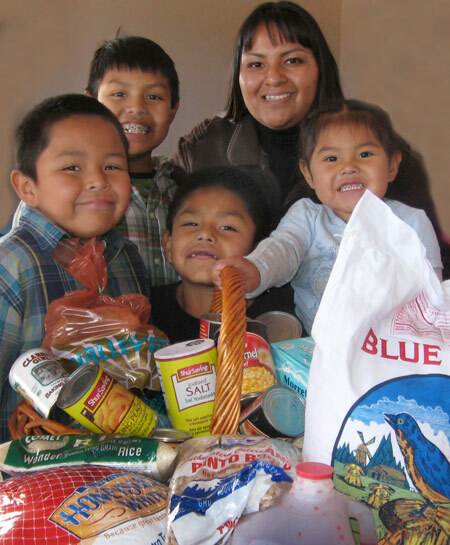 You can help a Hungry Native American Family right now. It's easy. 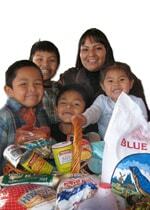 Just donate a Christmas Food Basket from Southwest Indian Foundation. Donate a full basket or even a half basket. Believe me...it really will help a family have a much better Holiday. Go to the Christmas Basket Donation Page Now. There is complete list of just some of what goes into a Christmas Food Basket.